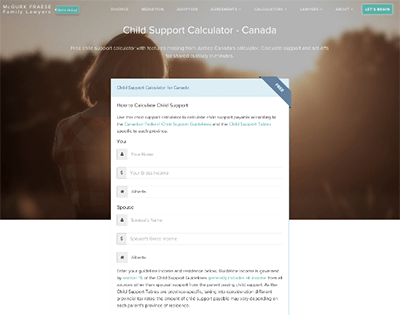 A child support calculator for the Northwest Territories. Calculate child support by entering the paying parent's income and the number of children in the calculator below. This calculator is for sole custody situations, i.e. where the child lives with one parent at least 40% of the time. For other situations please try this advanced child support calculator. Collecting child support in the Northwest Territories can be very difficult. A recent article suggests as much as $10 million is owed by non-custodial parents in the NWT. The system is facing challenges. However, if you don't bring a claim you will never collect - regardless of whether the system is reformed or not. We strongly recommend that you contact a family lawyer practicing in the Northwest Territories before bringing a child support claim. However, some free legal resources should be available at the Supreme Court of The Northwest Territories, in Yellowknife, which you can use to bring your own child support claim. A child support calculator with more advanced features including shared and split custody, as well as spousal support. 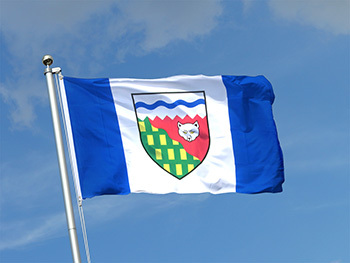 Works for the NWT as well as other Canadian provinces. 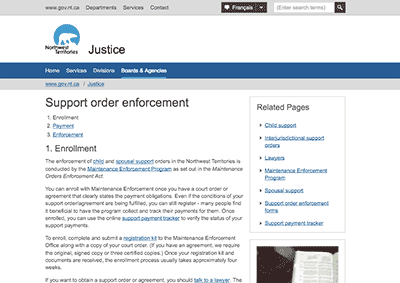 The Northwest Territories Maintenance Enforcement Program is responsible for enforcing and collecting child support in the Northwest Territories.